This adventure is the beginning of a new phase in my life. I know it’s so cliche. I turn 40 next year and I guess this is my midlife crisis? Well that mid-life crisis happened three years ago so I guess this is the wrapping it up and moving on from it part. This is a 15 year old dream. It was an adventure I wanted to take when I had youth on my side and no strings attached. I have spent years thinking about it but doing nothing about it. Now is the time to do it. I’ve spent my life being one way and trust me when I say you should live your life the way you want. Believe me. Do what calls to you. Even if it seems impossible or ridiculous. This idea sounded impossible to me this time last year and what I’m doing does sound ridiculous to some I’m sure. But it’s fascinating to others. Sometimes I even think I’m being selfish doing this with two daughters at home who “need” me. Then I say no I’m not. They are 7 and 9 with an awesome father. They all have this. I want them to feel the strength in being an independent woman. I want them to want to be strong and spread their wings. I remind myself that I will show my girls that a woman can go anywhere she wants and do what she wants. She’s following her dream. I am teaching them that being fearless can take you anywhere and it’s never too late to follow a dream. I’m not going to grow old to them but younger and wiser. So screw it if it seems ridiculous to others. I think it’s ridiculous that people hold up camera phones for entire concerts but it seems I may be in the minority on that opinion. I believe that often as moms and wives we get trapped into the routine and expectations of life. We’re supposed to give up those dreams of whimsy and be practical, responsible and rational. Stay to the course sailor. We’re supposed to pack away those childhood dreams and live for our kids dreams. We become fixed in our lives – ants marching. We do what we know is safe and will get us to the point we NEED to get to and our family NEEDS to get to. We stop living our lives and start living for our family. We loose us in order for our kids to find themselves. Can’t we find a balance? Yes we can. Will we be judged? Sure. Oh well. Their heaviness and not mine. I judge myself enough to worry about what others are judging about me. And the best reason is vacation. As mom’s we never get vacation. Some people take a vacation from their job and come back refreshed. Mom goes on vacation and returns more tired than when she left. Why? Because we can’t ignore our kids on vacation. And if I’m on vacation with my husband sans kids I can’t ignore him. Or I guess I could but that’s no fun. I hope this journey can encourage atleast one woman to pick up that dream that was not quite realized. I have manifested this dream to become reality for months. I have prayed about it. I have talked about it. I have journaled about it and I have meditated about it. I have ask questions about it. I have researched and sold off possessions. I am bringing to life a 15 year old dream and I hope it inspires just one other woman to do the same. 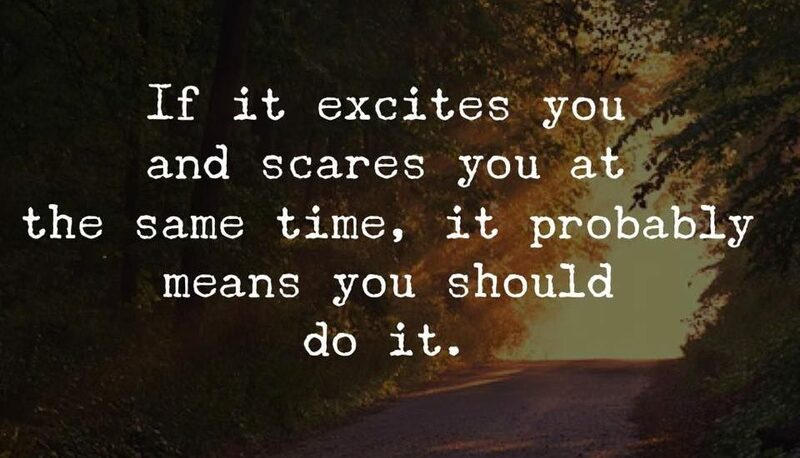 It will be scary but it will also be exciting so enjoy the ride.